Who Is Ned & Why Is He Spreading Stickers Everywhere? Ned is the ‘Johnny Appleseed’ of stickers – growing and spreading smiles around the world. 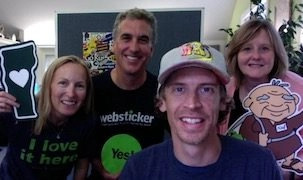 He is the Director of Goodwill, Spreader of Positive Vibes and driver of the Sticker Mobile for Websticker. His mission: Changing the World – one sticker at a time. Ned currently spends most of his time spreading art, smiles and supporting worthy causes through the Freely Fund. He works tirelessly to make a difference in the world, one sticker at a time. 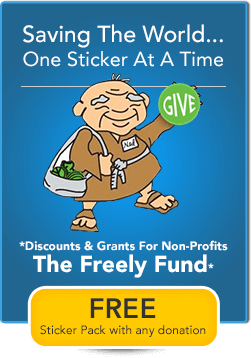 Just as a smile, a kind word, or a piece of art can alter our environments for the better, Ned believes that charity stickers can increase exposure and funds for worthy causes as well as amplifying positive messages. 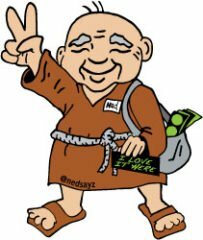 Ned can’t do it all on his own – support Ned and his quest by spreading his positive stickers and giving him a physical presence all over the world. Grab some free sticker packs and Spread Ned and good vibes where ever you may roam. Ned and his positive messages have already been sighted all across the world, in China, New Zealand, Cuba, Nicaragua, Mexico, Vietnam, Argentina, Italy, Spain, Canada, Australia, Cayman Islands, Netherlands and, of course, all across the US. Stay connected to his quest by following Ned on Instagram at Nedsayz. Be positive and plan on traveling far. Wherever you go, whatever you start, put your heart into it. Work hard and be honest, flexible, and forgiving. Like your life, stickers should be built to withstand any situation; indoors or out, removable or permanent, true to your plans and beliefs. Start with strong fundamentals and create something worth spreading that endures through good times and bad. Keep moving forward by learning, improving, creating, failing and changing. Life is a work of art in progress. You can throw things away, start over, work forever on the same canvas, or start a new project daily. Spread ideas, make art, provoke thought, and have your stickers do the same. Live life simply, one step at a time, with clarity and purpose. Is bigger really better? Sometimes, less is more. 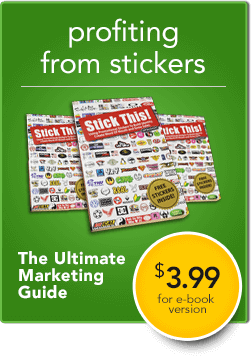 Stickers must also have a clear purpose and convey an impression quickly and clearly. Project your intent with simplicity and focus and you will be seen, heard and understood by the people who need your message most. There is nothing more admirable or powerful as creating smiles and having them passed on. Decorate, don’t desecrate. Always strive to leave things better than you found them. How can your sticker designs and sticker placement encourage contagious smiles and laughter? There are many viewpoints, alternative paths and different forms of art. Stop, look, and listen before you cross the street. There is always much to learn and understand. Share your art and stickers with the world but be mindful that freedom of speech works both ways. You can’t please everyone but you can be accepting of other ideas and ideals while being true to your own. Know your self and anything you believe is possible. What makes you different and unique? Live your passion. 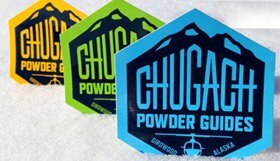 Spread that passion with unique stickers and you will invite meaningful connections. Great idea! Can’t wait to get my stickers and take Ned on lots of adventures!